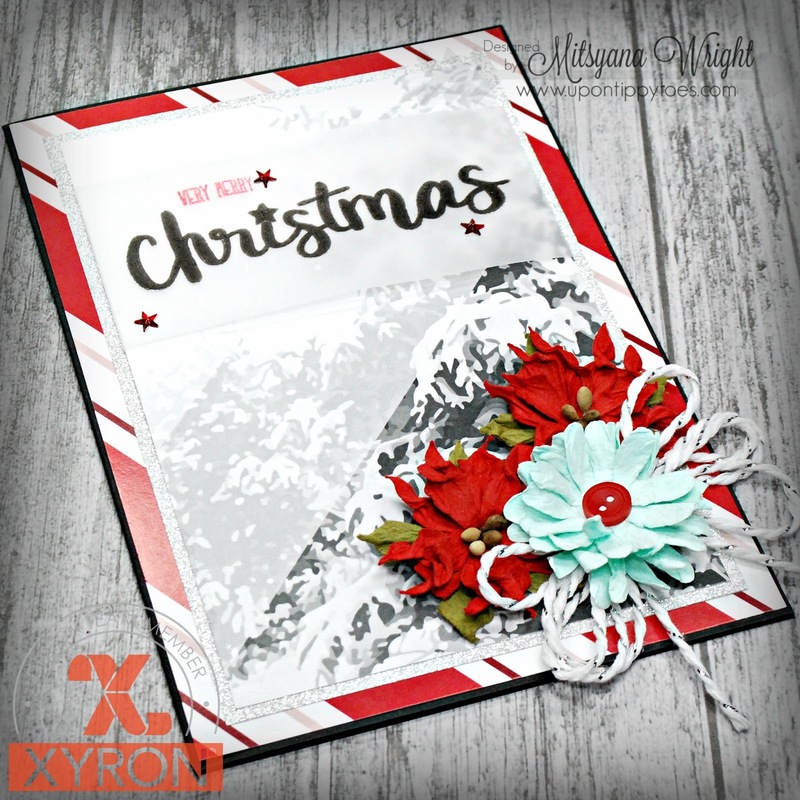 It's been a busy week and I'm back again, closing out the week with Team Xyron, Wild Whisper, and another beautiful Christmas card. 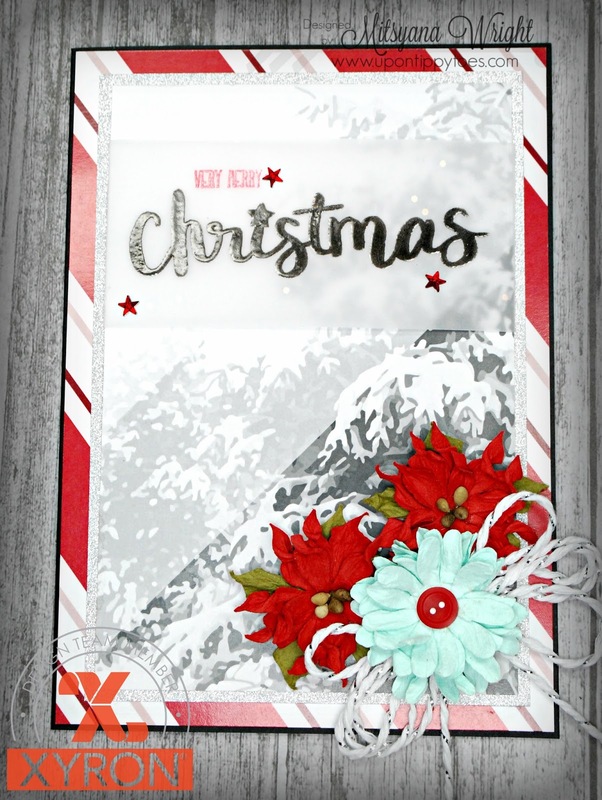 With the big day just over a week away and one can never have enough gorgeous cards to give to family and loved ones. I am head over heels in love with Wild Whisper's Home For The Holidays paper. This paper has a nice smooth magazine like finish to it that really makes the colors and patterns just pop! These are also double-sided papers so one sheet can go a long long way. Like it did for my card today. I created my card front using this fun candy-striped paper. It has this beautiful snow covered pine trees on the opposite side. 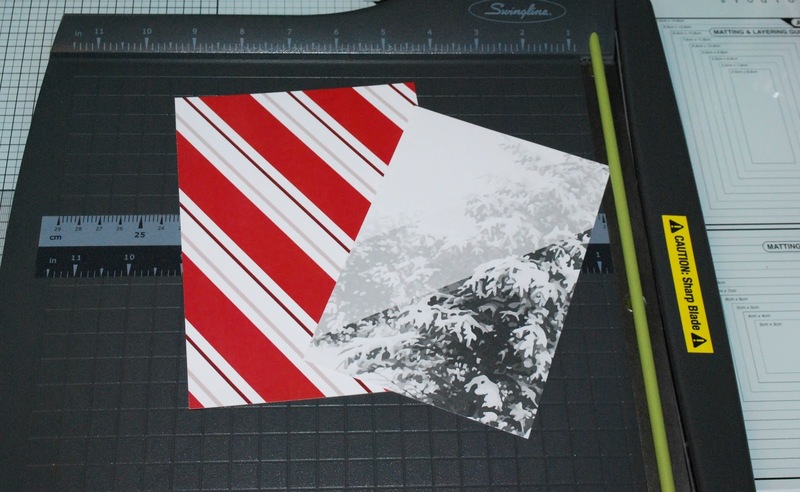 I cut the striped piece to measure 4-7/8" x 6-7/8" and then cut a second piece using the opposite side to measure 4-3/4" x 6-3/4". 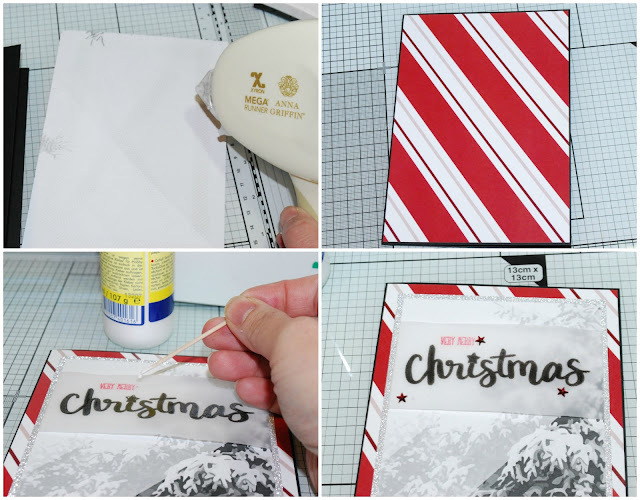 I wanted to add a sentiment directly to the paper but with the sleek finish, I was afraid I'd smudge the pretty print. Instead, I opted to stamp my sentiment onto a piece of 2"x 6" vellum. 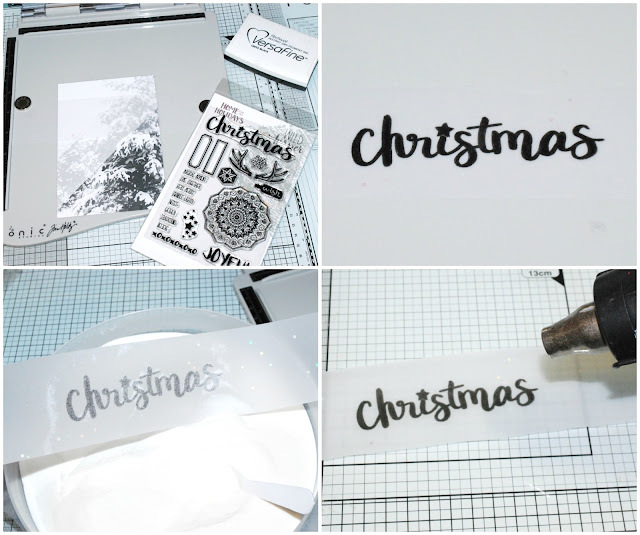 I used VersaFine Onyx Black Ink to stamp the large "Christmas" word stamp from the Home For the Holidays Stamp Set and covered it with clear embossing powder then heat set it. I wrapped the vellum around the card front and used my Xyron Mega Runner to adhere the end around the back side. 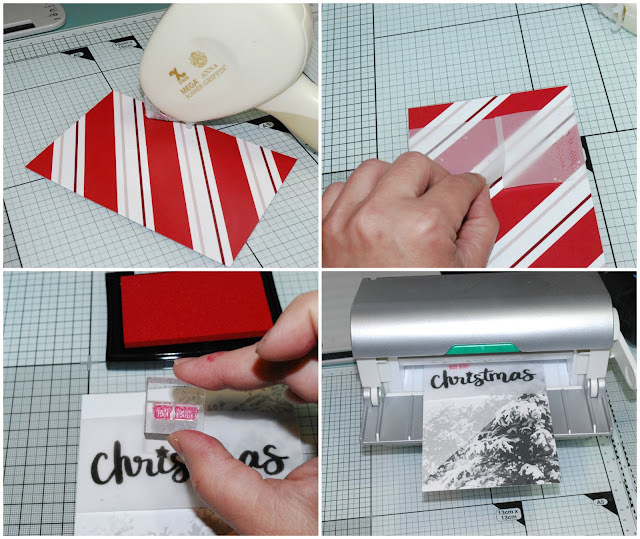 Then I stamped "Very Merry" in VersaColor Scarlet Ink and covered it in clear embossing powder and heat set it. Then I ran the entire card front through my Xyron Creative Station Lite and attached it to glitter cardstock. I attached the Striped paper onto a 5" x 7 " card base. then attached tiny stars using a toothpick dipped in glue. When you don't have a fine tipped applicator for your liquid glue bottles, I find that an old fashion toothpick works great!! It has a tiny tip for precise application. Then with more glue, I added a few flowers and a twine bow to the corner. I didn't like the center of my teal flower so I replaced it with a red button. I love how the winter scenery is on display in the background and how the teal really draws more attention to all the red throughout the card. 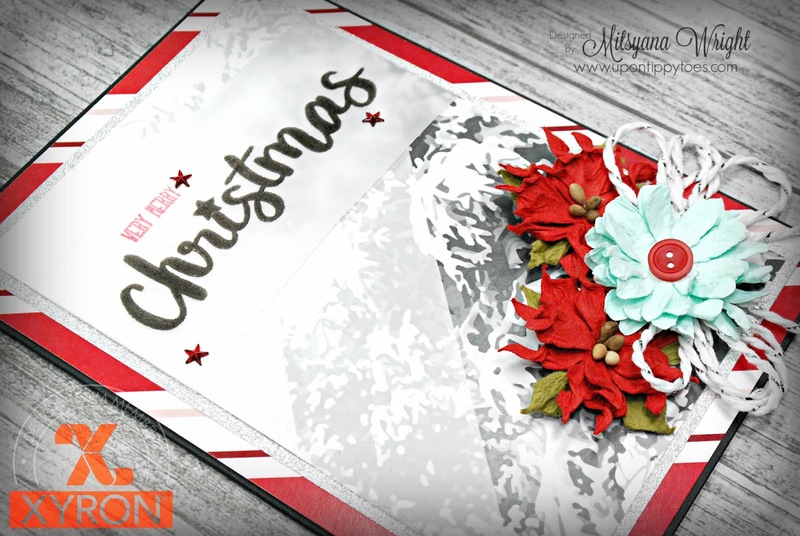 I really hope that today's tutorial inspired you to create your own gorgeous Christmas cards. 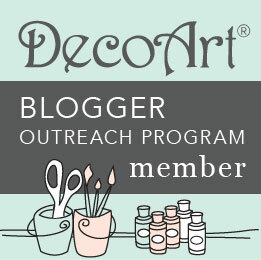 This blog is compensated to provide opinion on products, services, websites and various other topics. 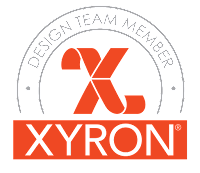 Even though the owner(s) of this blog receives compensation for our posts or advertisements, I always give my honest opinions, findings, beliefs, or experiences on those topics or products.